Just dropping in to say a very happy festive season to you all. We hope you have a wonderful break and look forward to sharing more virtual assistant related tips and articles with you in the New Year. 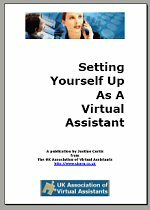 Want To Be A Virtual Assistant?